The check engine light of your old Ford is on? You know there is something wrong with your car, you just don’t know what. Well, the Innova 3145 Code Reader can help you identify the issues easily and quickly. The INNOVA 3145 is an easy-to-use product, which pretty much anyone can navigate. You know there is something wrong with your car, you just don’t know what. You could identify the issue with a paperclip and some old-fashioned flashing, but who has time for that? What you need, my friend is a code reader. There are two main types of onboard diagnostic (OBD) system for cars: OBD1 and OBD2. Prior to 1996, every manufacturer used a different system: these are known as OBD1. They are specific to certain makes and are not interchangeable. After 1996, manufacturers started using the universal OBD2 system. This means that all cars made before 1996 require an OBD1 code reader which is specific to their make. 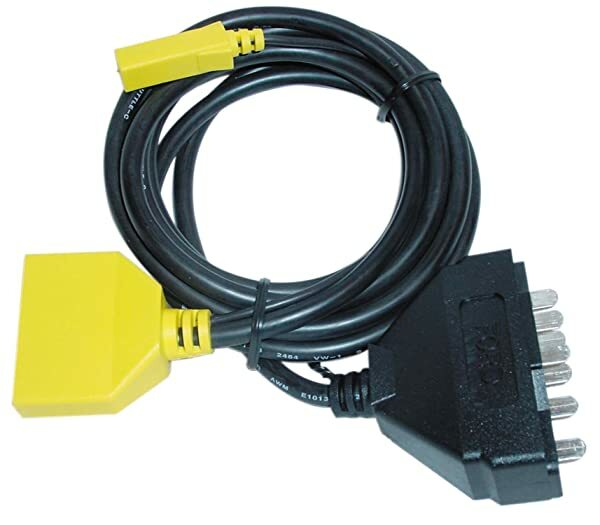 The INNOVA 3145 is a Ford OBD1 code reader. This means it is primarily suitable for Ford cars pre-1996. In this review, we’ll go over the pros and cons of the device, and compare it to others on the market. Innova 3145 Ford OBD1 is compatible with most Ford, Lincoln, and Mercury cars and trucks from 1982 to 1995. This code reader also compatible with MCU and EEC-IV computer control systems. A few cars of other makes (Honda, Nissan, Toyota, Lexus) can be compatible with this code reader. However, this Innova 3145 is not compatible with any car made after 1996. It also is not compatible with most medium or heavy-duty trucks. nova 3145 Ford OBD1 is compatible with most Ford, Lincoln, and Mercury cars and trucks from 1982 to 1995. 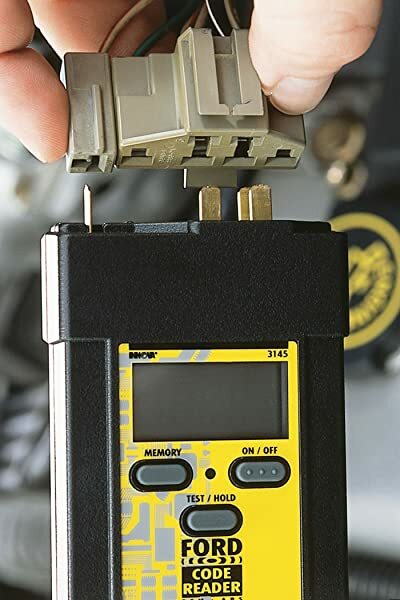 This Innova code reader has a simple 5-step system: plug the device in, turn on the ignition, hold the button, read the Ford OBD1 codes, and look up result in the accompanying Code Definition List. Its memory feature stores codes even when not on. This functionality allows you to easily read codes without counting flashes. This means no frantic note-taking, and no potential confusion of where one code ends and the other begins. It can connect under the hood, but you need to operate the ignition switch for testing. Innova 3145 OBD1 is straightforward and easy to use, even for beginners, of course, reliable and trustworthy. However, this tool does not reset check engine light: it will just turn off when all fails are fixed. It can connect under the hood, but you need to operate the ignition switch for testing. You will need to purchase the INNOVA 3149 extension cable separately. You should purchase the Innova 3149 Extension Cable to use with the Innova 3145. One more thing about this tool is it does not check any mechanical issues, just ones detected by the car computer. A few users have complained of loose connections and a pin that gets easily pressed into the reader. This does, however, appear to be a minor issue. If you choose to purchase the extension cable, the pins should stay in place anyways. Innova 3145 OBD1 is equipped with a digital display which is clear and easy to understand. Its simple design leaves no room for confusion or misuse. In addition, the manual explains everything you need to know. The Manual includes useful Vehicle Diagnosis Worksheet you can fill in to keep track of issues or hand to your mechanic. Moreover, additional online tools are available to help you through the process. This tool has a simplistic interface compared to more modern OBD-II models, so few codes are not in the manual and need to be found online. This is even if you include the additional purchase of the extension cable. 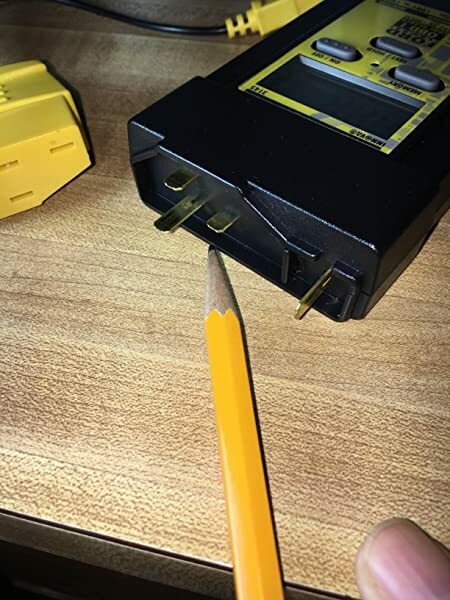 If you have someone to do the checks with, you may not even the need the cable at all. It is difficult to even find other OBD-I code readers online. 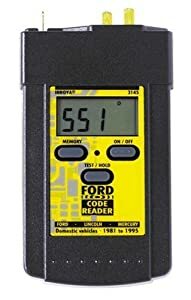 While other OBD-I code readers available all rely on light pulses and are slightly more expensive, this Innova 3145 OBD1 includes full instructions for use and all Ford self-tests and AA batteries. It is one of the cheapest code readers on the market. 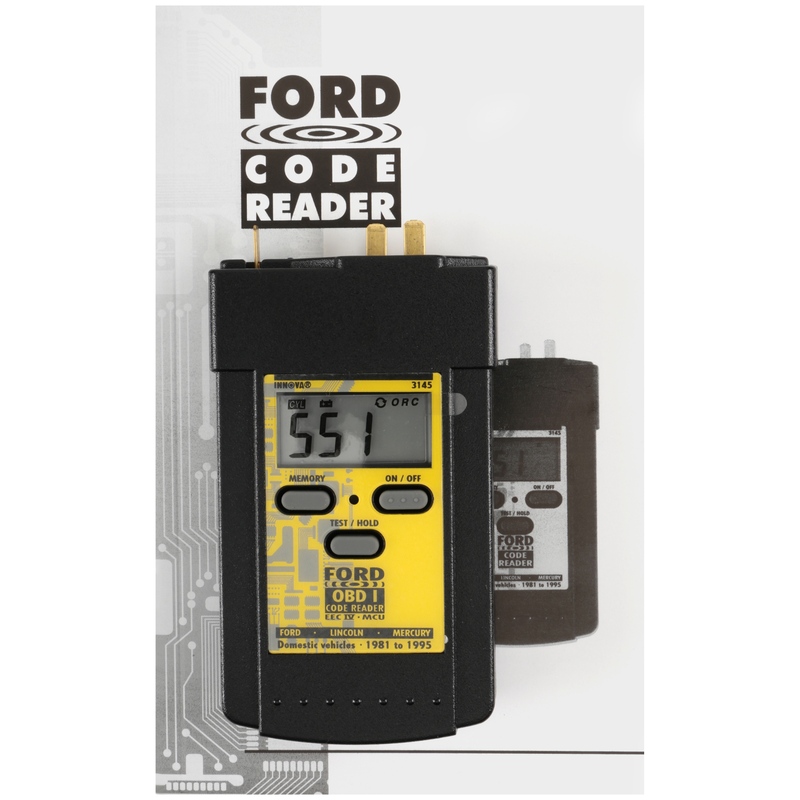 Some mechanics will offer to read your Ford OBD1 codes for free: check if that is an option. Some would argue it is a bit pricey for how simple it is. The INNOVA 3145 is an easy-to-use product, which pretty much anyone can navigate. As such, it is a great tool for anyone who wants to be able to read trouble codes on their car or truck at home. Even complete car newbies can save some money from a visit to the mechanic with it. It is a must-have item if you are a car enthusiast maintaining an old car. However, it is highly recommended for DIYers who prefer to fix issues with their cars at home. Whilst anyone can use the INNOVA 3145, DIYers will be more likely to know how to proceed once the reader identifies the problem. It is also a must-have item if you are a car enthusiast maintaining an old car. Your pre-1996 car or truck is likely to encounter issues once in a while, and this tool helps you keep it healthy. Professional mechanics may also want to consider the INNOVA 3145 for their services. The INNOVA 3145 is essential for anyone still relying on light flashes for code reading. 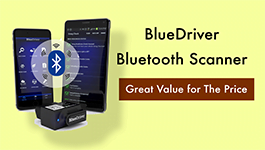 It is the cheapest, best rated, and most popular digital display OBD-I reader for Ford. This is without a doubt the best option for someone with an old Ford needing some TLC. Just make sure it covers your specific model before buying, and you are good to go. Happy code reading! ANCEL AD610 Elite is a powerful diagnostic tool capable of performing comprehensive diagnostic functions such as turning off warning light of airbag ABS, etc. This Wsiiroon Professional SR850 is a full-featured professional vehicle diagnostic kit that supports all OBDII protocols known today. Let’s see! What you will find in this article are detailed reviews of BMW scan tools for BMW owners, DIY, and professional mechanics in 2018.